Christmas in Norway has so many beautiful images and patterns to choose from. These sweet wintery birds are from the sheet Bells. 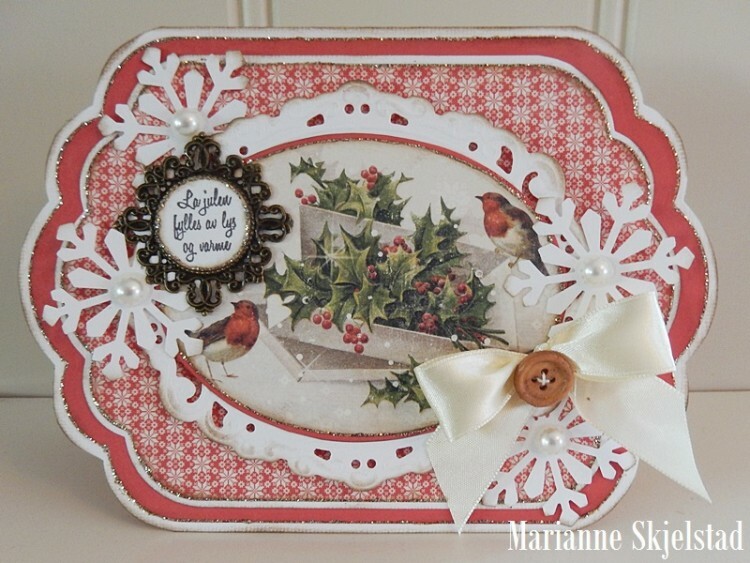 I do love this charming card, Marianne…it’s so bright and cheery! Love the Christmas in Norway paper line as well!